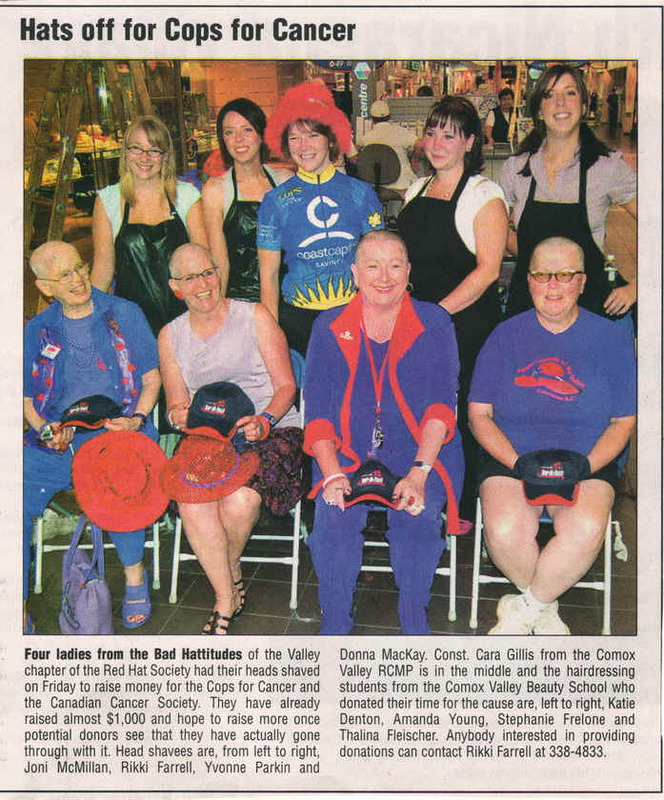 Please feel free to send us your news and photos to share with other chapters in B.C. 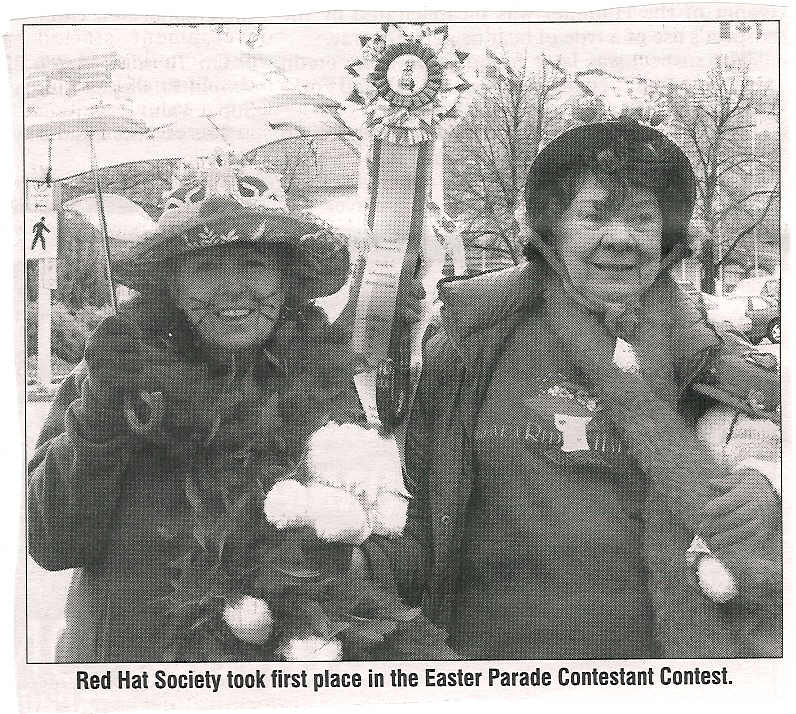 Click photo above to see large, photo of Queen Rita of the Red Hot Mama's of Barriere at her "Coronation"
The Crimson Cougars ( Osoyoos , British Columbia , Canada ) decided to forego exchanging Christmas presents and instead put the money towards sponsoring a fundraising Good News Bear handmade by Frieda Bergen. 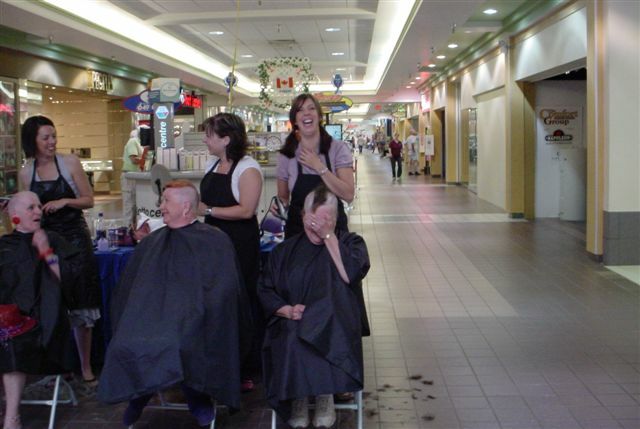 Hosted by CHBC-TV in Kelowna , the fundraiser donated thousands of dollars for the local food banks. The TV station took the bears on a mall tour to raise funds and displayed them on-air with viewers sending donations for a chance to win a bear. The Cougars were the first chapter to sponsor a bear in RHS colors and called it Desert Darling. Pictured is Queen Carole McGhie, members and TV celebrity Mike Roberts. Maggie Soare of Wine & Roses chapter reports they too did a bear! NOTE: I have heard that Sooke will be doing a calendar again for 2008! 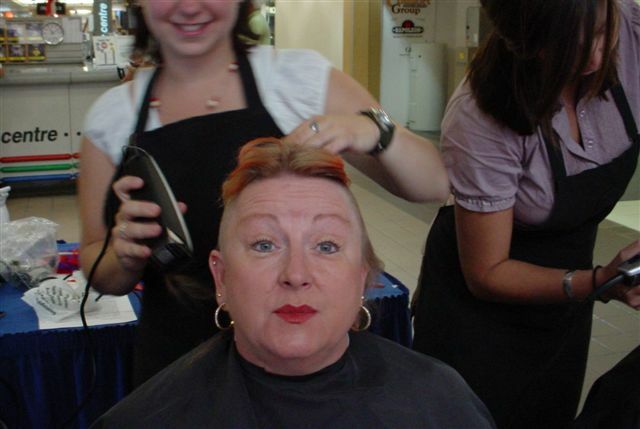 and raised over $1500.00 in the process. 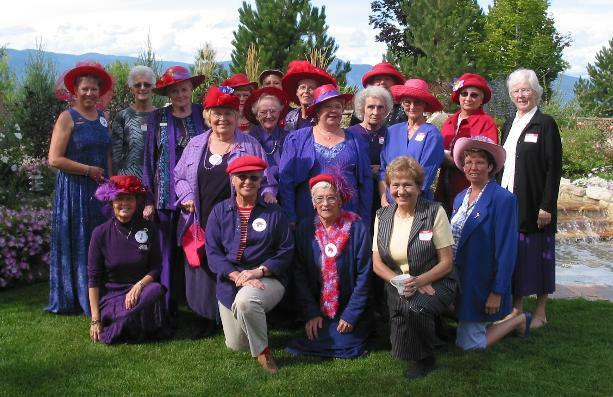 Bad Hattitudes of the Valley - Comox Valley, B.C. 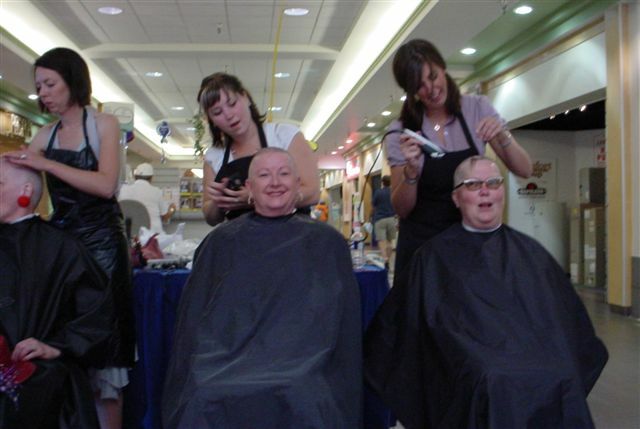 take it off in support of their friends with Cancer! Way to go girls! 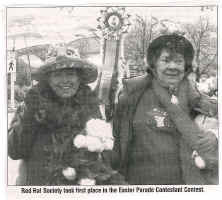 who won 1st Prize for this float in the July 1st parade in Beinfait, Sask. 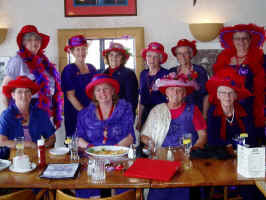 The Red Hat Sooke Sirens went on a Mexican Riviera Red Hat Cruise. 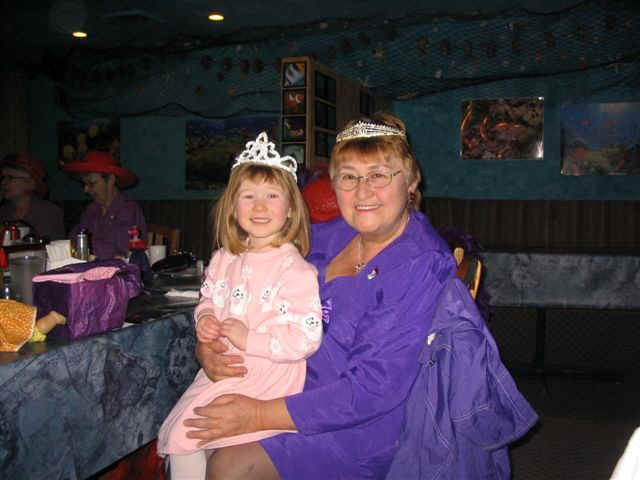 Queen Jane reports: "We had a wonderful time! 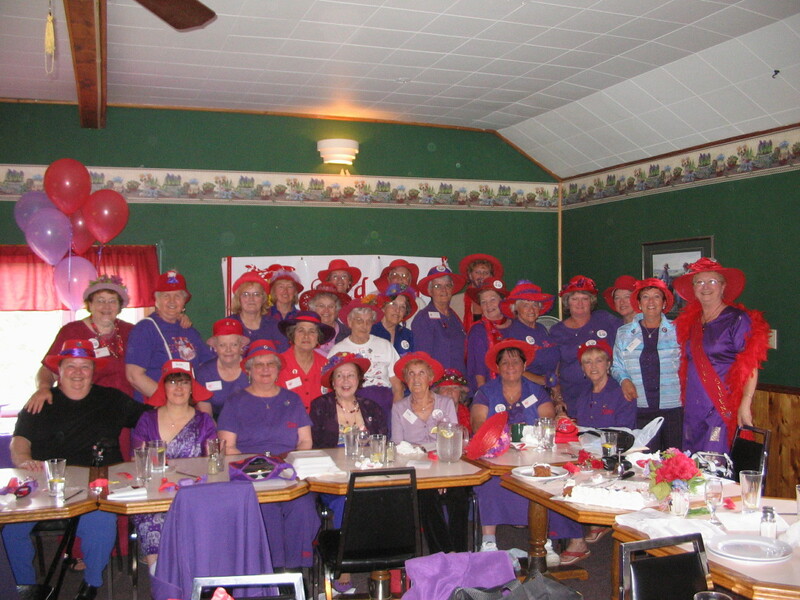 There were ladies who joined us from Edmonton, Sherwood Park, Chilliwack, Comox and Vancouver. Every day was Red Hat Day and we took part in a Scavenger Hunt, PJ Party as well as all of the activities onboard ship. Watch for the details of their next cruise. 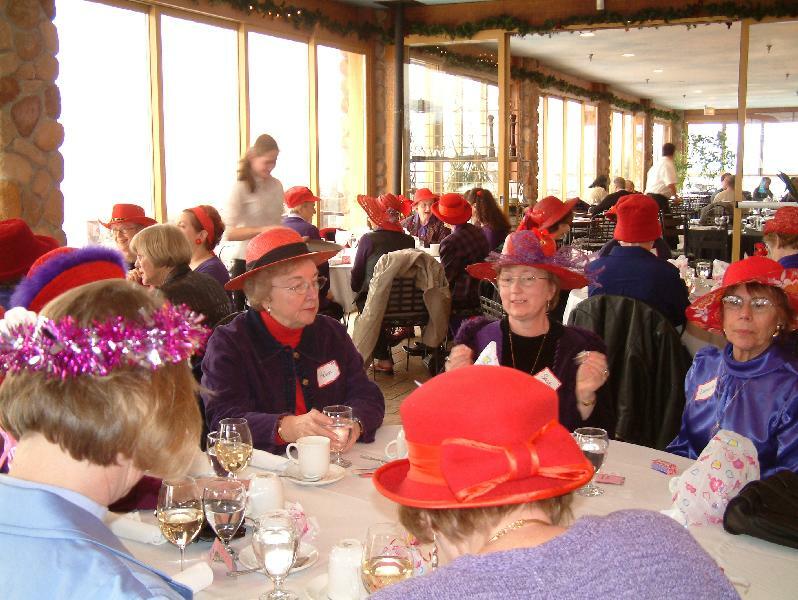 Queen Mother's "Queen's Council Luncheon"
February 27, 2005 at "The Jammery," Winfield, B,.C. The Red Hat Sooke Sirens at the Empress Hotel - Victoria, B.C. in their red satin shorts and black pantyhose. Dear Annie: I read with interest the dilemma of "Grosse Pointe," who asked if there was a support group for the wives of retired husbands. During the past several years, we have developed a loosely organized group of friends and relatives who refer to themselves as WORMs or Wives of Retired Men. 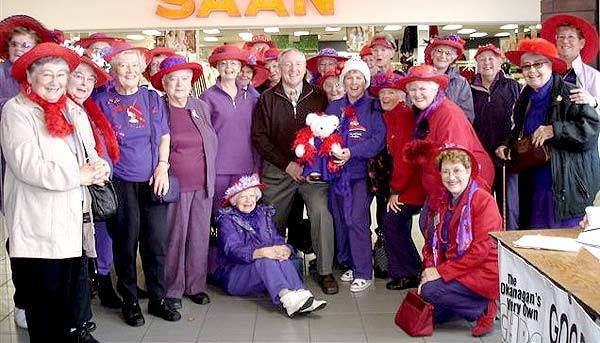 We find potential members every time we go to the supermarket and see a woman being "organized" by her retired husband. One woman confided that she is glad he wants to be with her, but it drives her crazy that each morning he asks, "What are we going to do today?" We e-mail one another, and each of us tells our best retired story for the month. The one who wins gets to be president the next month. 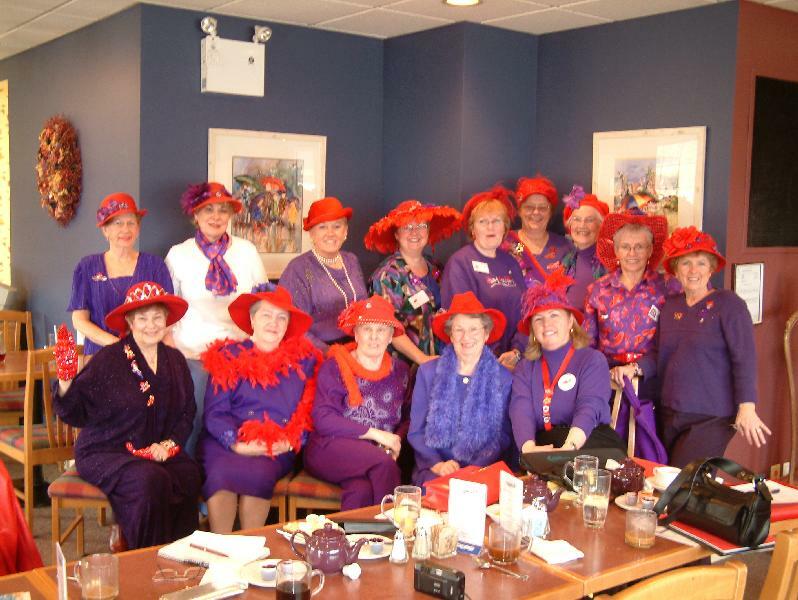 Dear Annie: I can recommend a different group called the Red Hat Society. 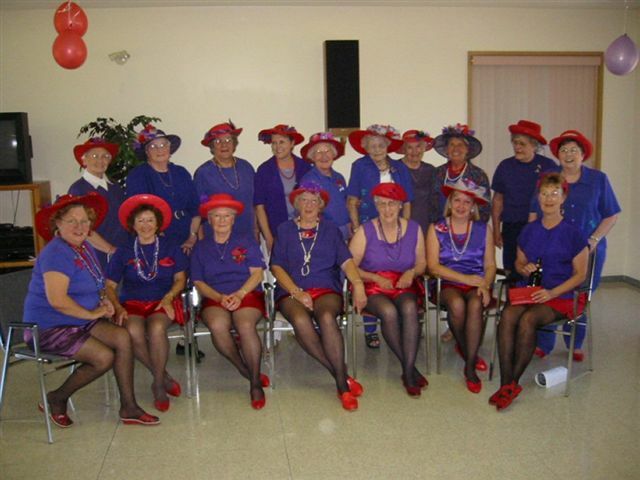 It is for women over 50 to have fun, get together and just be outrageous. -- Jacksonville, Fla.
Dear Jacksonville: We've heard of the Red Hat Society (they recently had a parade in Chicago). It has more than 400,000 members in every state, plus Canada, Europe and Australia. 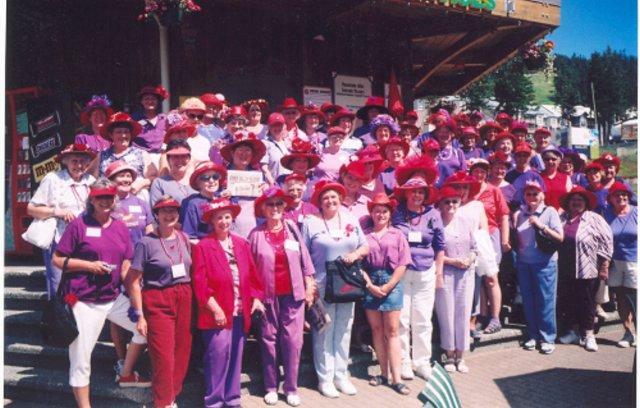 Those who are interested can write to The Red Hat Society Inc. (www.redhatsociety.com), 431 S. Acacia Ave., Fullerton, CA 92831. 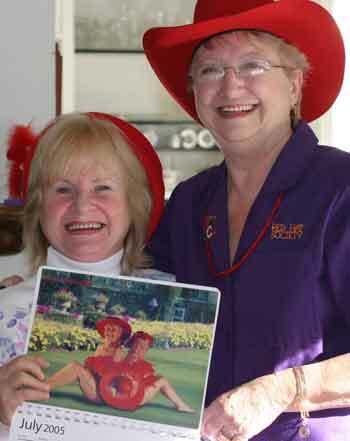 Annie's Mailbox is written by Kathy Mitchell and Marcy Sugar, longtime editors of the Ann Landers column.